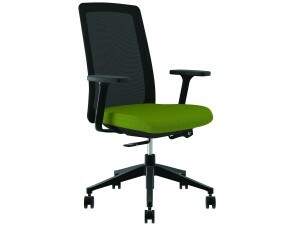 When your business needs office chairs, there is no better place to turn than Reusable Office Interiors. We serve the Toronto, Ontario, area, as well as other areas throughout Canada, and specialize in providing well-maintained used office furniture from trusted manufacturers at competitive rates. When purchasing preowned office seating from ROI, you will be able to save money without sacrificing quality. At ROI, we are committed to helping our customers find the perfect chairs for their particular needs. To accomplish that, we’ll take the time to gain a full understanding of exactly what you desire, and make recommendations that will help you accomplish your goals for outfitting your office space. What’s more, we offer a variety of other quality preowned office furniture for businesses in Toronto, ON, and beyond, including training tables, desks and desk sets, board room/conference room tables, file cabinets, and many other pieces, so we are your one-stop furniture solution. For more information on the office chairs and other furniture we offer to businesses in Toronto and cities throughout Canada, contact Reusable Office Interiors today.